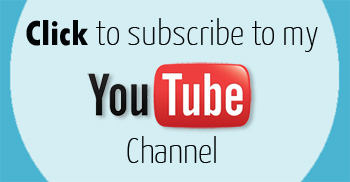 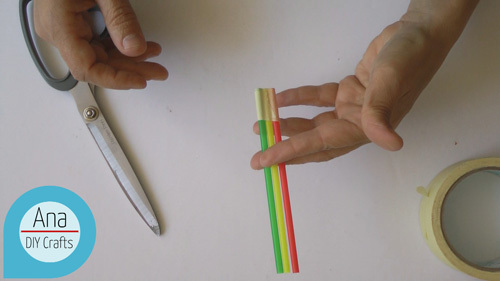 1- cut 3 straws 12cm , apply adhesive tape. 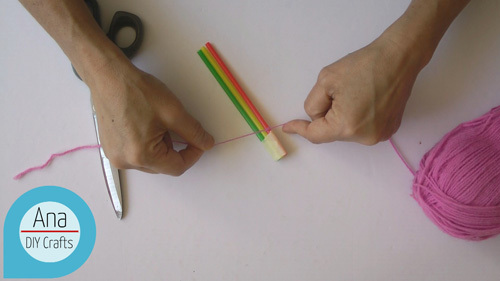 2- make a knot in the first straw. 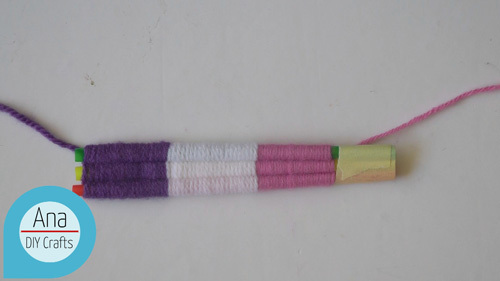 3- start weaving the wool. 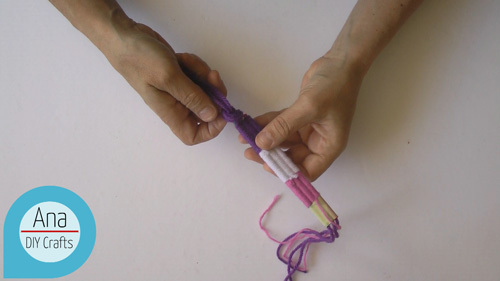 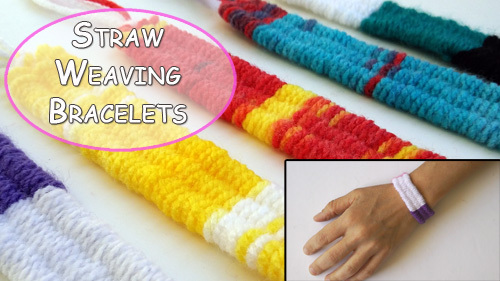 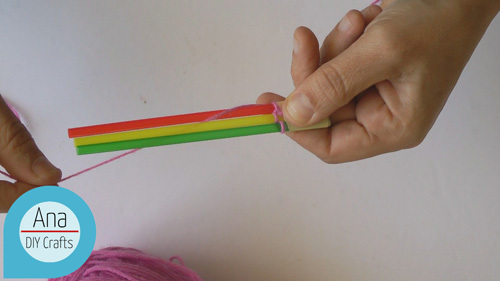 4- make a knot at the end. 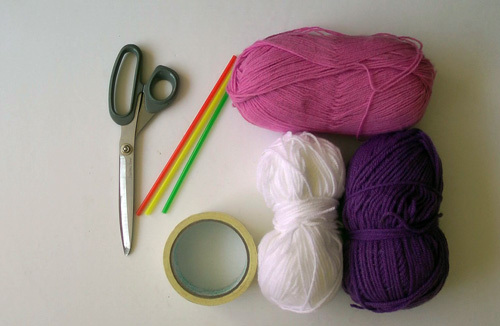 5- cut 3 30cm wool pieces and pass them inside every straw. 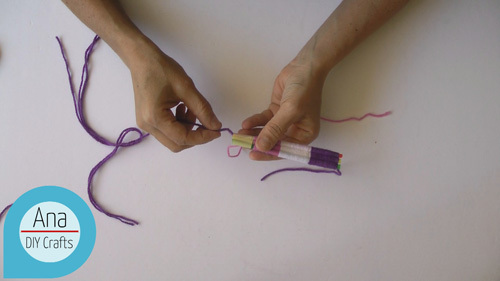 6- make a knot at every end.